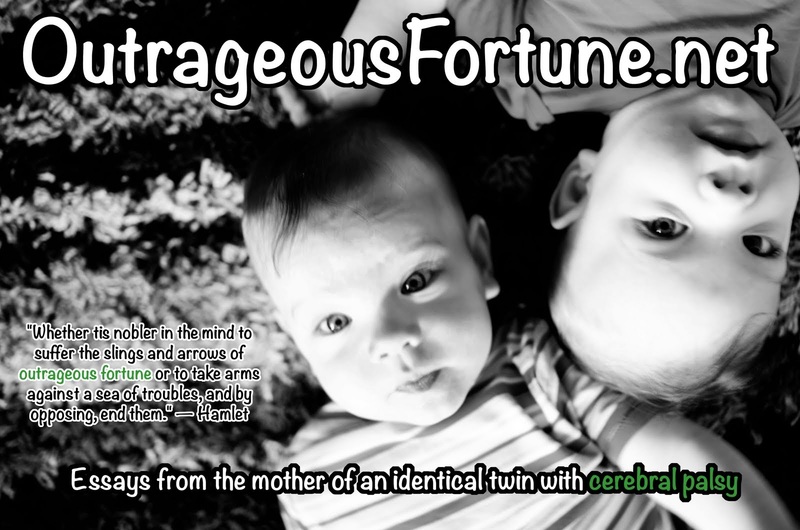 Outrageous Fortune: Finally! A place just for parents of multiples with disabilities to connect! Finally! A place just for parents of multiples with disabilities to connect! Ok, so before I had twins, I would have waited for this to be totally perfect to unveil it, but my husband is literally in the driveway right now with the boys so if I don't do this now, it'll never get done. Anyway, I've met a lot of wonderful people who are dealing with disability on top of caring for twins, triplets and surviving triplets and I feel like they should all get to know each other, too. If you are such a person, please visit this new forum and introduce yourself. You can find the link on my pages tab to the right, or follow this link. Like I said, it's pretty rough. I put up a few topic folders that I brainstormed, but feel free to make this space your own! Please visit the Welcome message and then add your own. No topic is off limits! Thanks! Yes! Having a special needs child on top of having multiples is a very special situation indeed. I have twins, boy and girl, who will be four years old in September. 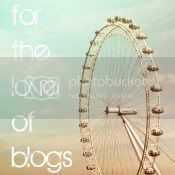 I am so happy to find your blog and be able to share with like-situated moms. 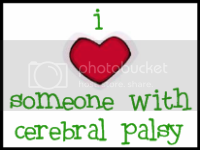 My son has CP and is still not doing much unsupported sitting never mind crawling (or walking!!). He is, however, a big fan of rolling. It is unbelievably difficult and stressful. At the end of the day, however, when I see those little beautiful faces smiling at me, I am reminded to count my blessings! Thanks for sharing your stories. I'm happy you could share your story. If you need any help you can reach us through this link. Wordless Wednesday: Look, mom, we're "standing"
Hey, you know what else I do? Write fiction.